Sagamihara park (相模原公園) is a park with a huge play ground, fountains, and lots of flower gardens located in Sagamihara, Kanagawa Prefecture. 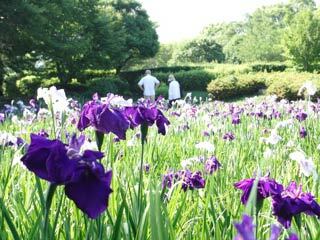 It is one of popular Iris spots in Kanagawa. There are 120 kinds 26,000 Iris in this park. It a great park for weekend family activities.